A leading cause of broken sewer lines — and one of the most expensive sewer pipe problems — is invasive tree roots, which can penetrate your pipes and damage them. Roots in sewer lines can cause sewer backups in your home and cause further damage to your pipes, if it is not remedied. If you have toilets and sinks that are backing up and flooding your floors, invasive tree roots may be your problem. 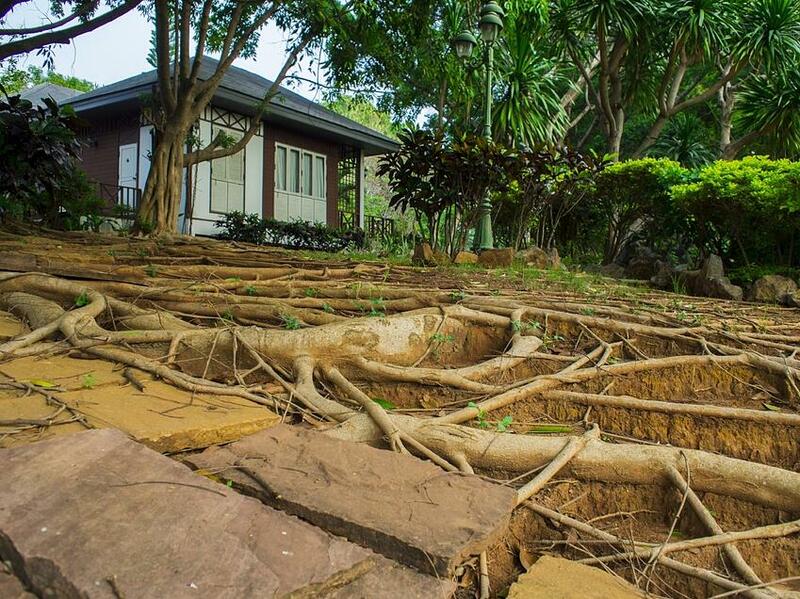 We have outlined a few measures below that you can take to proactively prevent this from happening or to deal with an existing tree root problem. Sewer lines attract roots because they are filled with water, nutrients, and oxygen, which are all the requirements that plants need to grow. Pipes that are in disrepair will add to this problem because water that leaks into the ground will draw roots toward your pipes. If not controlled, root infiltration can further damage your pipes and can cause a complete failure of your home or business, sewer system. Cultural Root Control: The easiest method of root control is to keep plantings away from your sewer and field lines. This can be accomplished when building new homes or when adding new landscaping or trees to your existing yard, but for homes with existing trees and shrubs, the cultural method may be too late for you to use. Before you plant, know where your sewer lines are. Choose slow-growing varieties of plants and shrubs, and plant them at least 10 feet from your sewer pipes. This will keep future roots from fouling your sewer pipes. Physical Root Control: For tree roots that have found their way into your pipes, the only way to remove them is by manually removing them. This can be done through traditional or trenchless sewer line repair methods. The traditional method involves essentially disrupting large areas of your lawn; the second method is minimally invasive. Trenchless repair uses several methods to repair broken and penetrated sewer pipes. Plumbing technicians use a method that pulls or pushes a liner into the broken pipe, fill the liner with resin and wait for it to set up. Once it does, you will have a smooth replacement pipe, free of tree roots. All without tearing up your yard! Mechanical Root Control: Although removing tree roots from your pipes is not a preventive action, it may be a necessary method of clearing your pipes for repair. Using augers and cutters, root removal specialists can clear pipes of debris. Technicians also have the option to use a device that bristles with scrappers and brushes that pulled through your pipes with a powered winch. Hydro jetting also can clear a sewer pipe of invasive tree roots — think of it as power washing for the inside walls of your sewer line. An added benefit of this powerful stream is that it will clean the inside of your pipes of any residual sludge and root debris. Tree roots can damage your sewer lines in Sacramento to the point that they will need to be repaired or replaced. If you have water seepage into your yard, backed up pipes, and blocked drains you may have tree root damage to your pipes. Conventional methods of pipe replacement require you to dig up the offending pipe and replace it. Trenchless technology solutions are less invasive, faster and require just one or two small holes to repair your broken pipes. Do You Have a Broken Sewer Pipe? There are many reasons that you may have a broken sewer pipe. Roots, pipe slippages, and poorly maintained sewer lines all can lead to clogged pipes. If you have blocked pipes that are not responding to a plunger, contact Express Sewer & Drain today. We can find the problem, repair it quickly, and get your water flowing freely. What Usually Causes a Sewer Backup?